A very useful tool to use in many different areas of your home is a blackboard. Using an actual blackboard or blackboard paint can create a space where you can have a command center for the entire family. You can also make a place where you and your family can display their artistic ability allowing you have changeable decor. 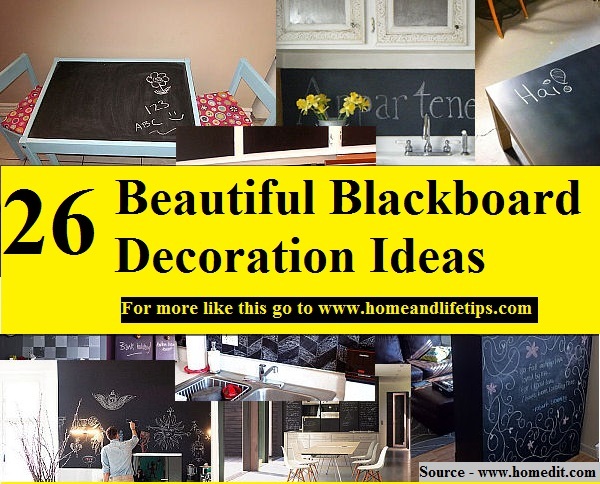 Thanks to homedit.com for these great ideas for using and decorating with blackboards. Follow the link below to learn more.